Fracking in the last year created 280 bn US gallons of toxic waste water. To put that into perspective, that’s enough waste water to flood Washington D.C., according to an article from The Guardian. The waste water would not only be enough to flood the city, but also to submerge it 22 ft. deep. The news comes as part of a report from Environment America, released in October 2013. 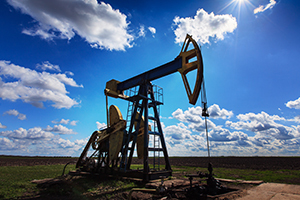 Entitled, “Fracking by the Numbers: Key Impacts of Dirty Drilling at the State and National Level,” the study investigates the detrimental effect fracking has had on the US since 2005. Aside from the large amounts of waste water fracking creates, the study also reports some other daunting facts. Fracking creates an average of 450,000 tons of air pollution in one year and 360,000 acres of land have been damaged from fracking since 2005. In addition, 2 billion gallons of chemicals have been used in fracking since 2005. There are currently more than 80,000 wells used for fracking in the US, with Texas and Colorado topping the lists—each state has created 33,000 and 18,000 wells each, respectively. And the rate at which wells are being drilled is rising—of the more than 80,000 wells, 22,000 were built in 2012. The study also reports that waste water produced from fracking often times contains cancer-causing and/or radioactive material, which poses an air and water quality risk for the general public. Though the report concludes that it cannot fully determine the entirety of the damage caused by fracking, the data it has provided should be proof that protocol needs to be changed. The study believes the federal government should close the loopholes that exempt fracking from key provisions of our federal environmental laws. The writers of the study also believe federal and state governments should protect open spaces and drinking water from the risks of fracking.